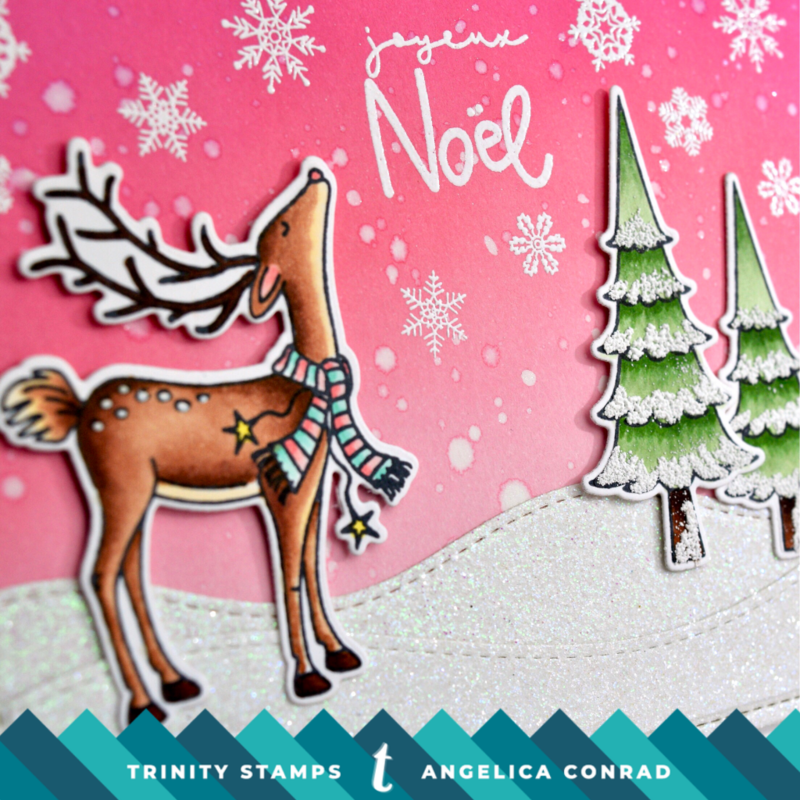 Angelica here with a pair of cards made with the new stamp set Joyeux Noel. I adore the images in this set. I used both sentiments, making a matching scene for each one. I started off by stamping and coloring the images with Copic Markers. 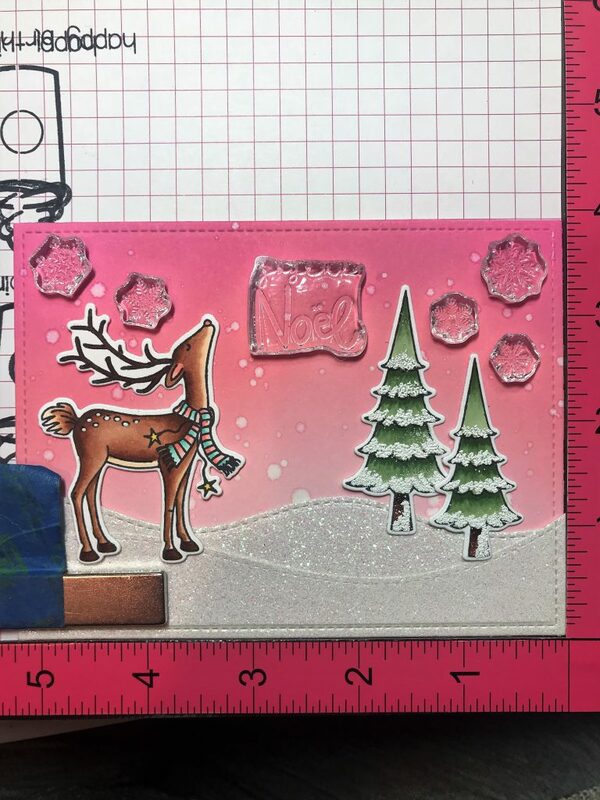 I cut the images out with the Joyeux Noel coordinating dies. 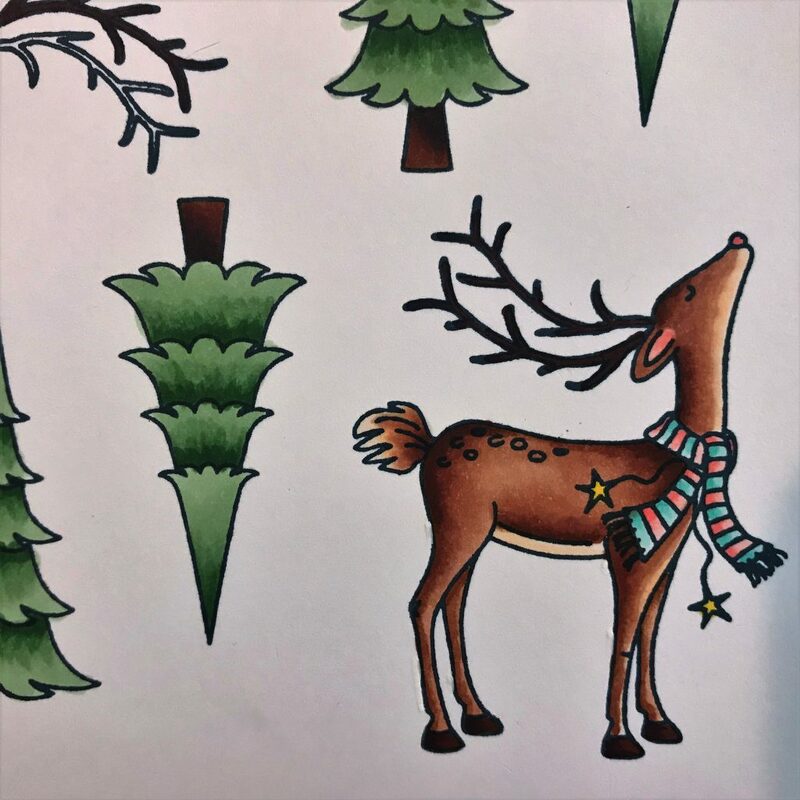 I used a Ranger embossing ink pen and Lawn Fawn textured white embossing powder to add snow to the trees. For the backgrounds, I cut two panels of watercolor paper, then chose Distress Oxide inks to blend. For the pink card, I used Picked Raspberry, Worn Lipstick, and Spun Sugar. For the blue, I used Black Soot, Chipped Sapphire, and Tumbled Glass. I splattered water onto the papers, then dabbed the droplets with a paper towel. 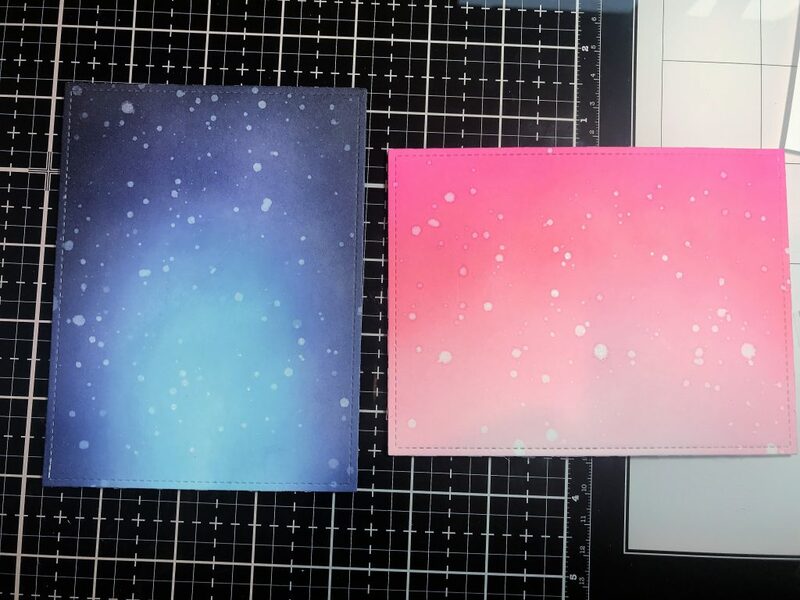 I cut the hills out of white glitter paper, and attached them to the card panels. I then used my MISTI to build my scene. I moved the stamps and die-cut images around until I had a scene I liked. 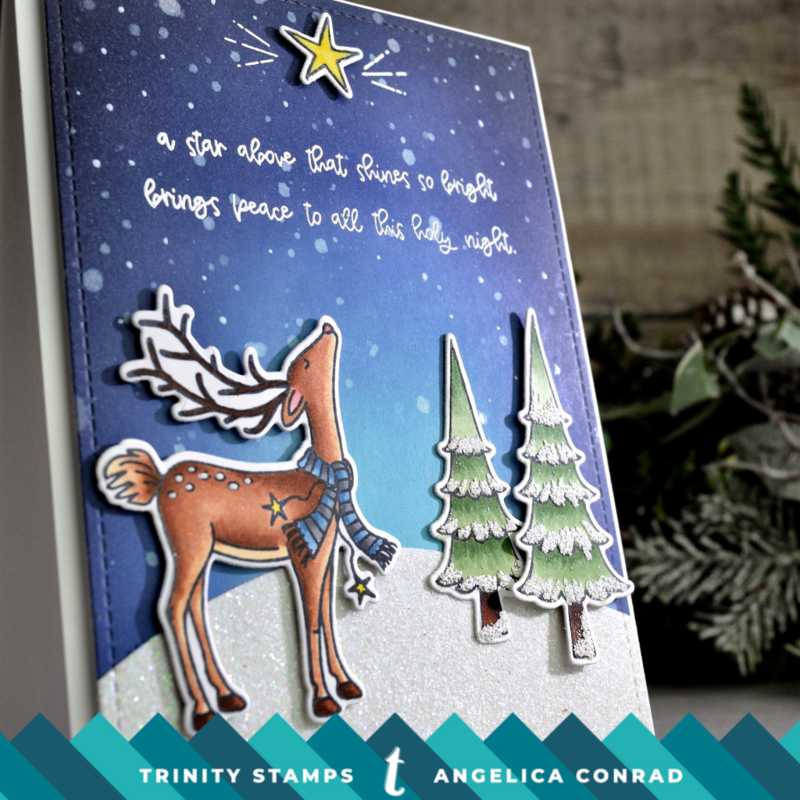 I stamped and heat embossed the sentiment and snowflakes, using embossing ink and white embossing powder. After the embossing was done, I used double-sided adhesive to attach the panels fun foam, then adhered them to A2 size pre-made card bases. I also used 3D foam squares to adhere the die-cut images. That is all for today, Friends. I hope you found my project inspiring! 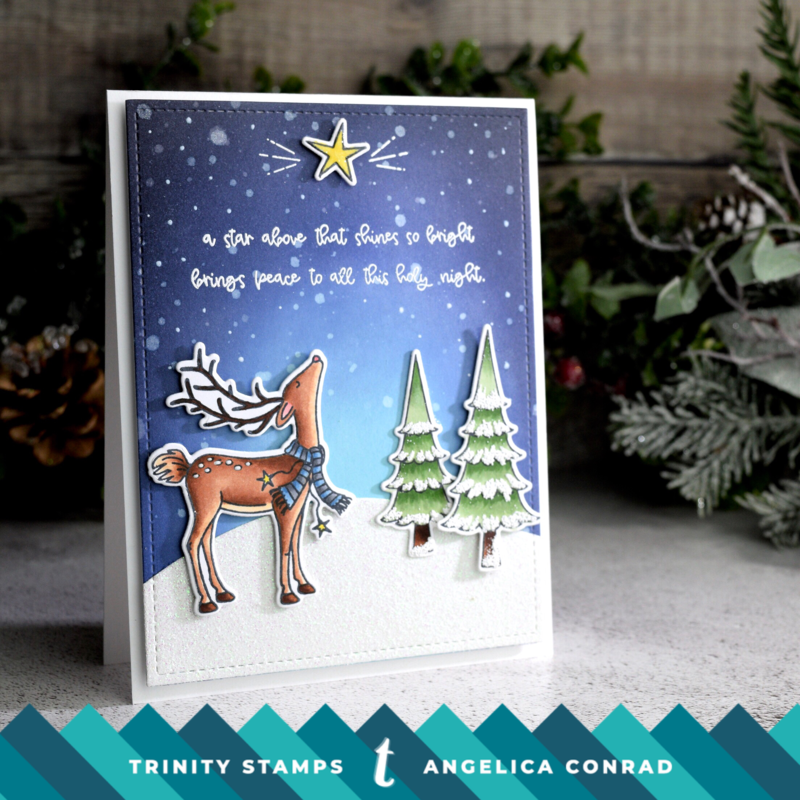 To see more of my Trinity Stamps designs, Follow me on Instagram HERE or check out my blog HERE. Perfect winter scenes. Love the pink sky. Thanks for sharing your creativity. Beautiful Angelica!!! I know i’ve said it before, but you are amazing!! !